The Ricoh Aficio SP C320DN printer is a well designed unit for medium usage home and office users. This machine is capable of printing high quality presentations with resolutions up to 1,200 dpi. In addition, print speed can reach up to 26 pages per minute for both color and monochrome documents. 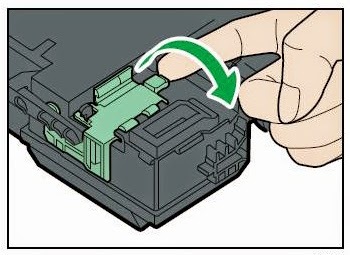 Removing the waste toner from on the Ricoh Aficio SP C320DN is probably one of the few servicing tasks you can do yourself easily without calling a technician. The process is fairly simple and do not require any additional tools to perform the task. 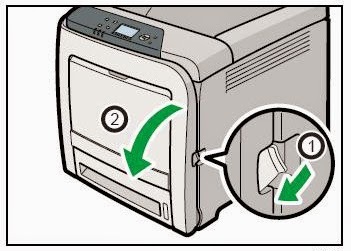 The machine will warn you on the control panel when the waste toner bottle is getting full, and will eventually stop working if the toner isn't removed. 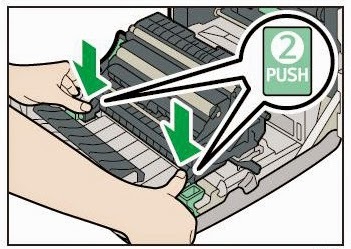 Toner Spot offers cost saving, top-notch quality remanufactured toner cartridges for this model. The price for a genuine OEM toner cartridge can go as high as $200 a unit! 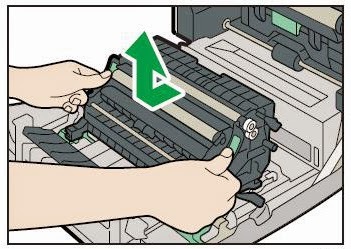 Here at Toner Spot an ISO-9001 remanufactured cartridge is sold for $74.99 for the black cartridge and $94.99 for each color unit. Don’t forget there are also cost saving promotions such as the current 10% off coupon code and free shipping for orders over $75 for 48 contiguous U.S. states! Don’t forget to use our coupon code SAVE10 for 10% off your entire purchase. Save even more with free shipping when orders exceed $75 contiguous U.S. states. Bulk order inquiries please contact sales@toner-spot.com.